Cult Tamworth, UK rockers, now recording again after a 16 year break. Originally formed in 1984, the band released a series of demos on cassette before their 7" vinyl debut Clutching At Straws in 1988. This was swiftly followed by the Wasted But Dangerous 12" EP in the same year. They were highly regarded live performers and eventually caught the attention of Rick Rubin's Def American label, but their debut full length album (Live Fast, Die Fast in 1989) saw little commercial success, oft-attributed to Rubin's very flat production. Originally formed in 1984, the band released a series of demos on cassette before their 7" vinyl debut Clutching At Straws in 1988. This was swiftly followed by the Wasted But Dangerous 12" EP in the same year. They were highly regarded live performers and eventually caught the attention of Rick Rubin's Def American label, but their debut full length album (Live Fast, Die Fast in 1989) saw little commercial success, oft-attributed to Rubin's very flat production. Their later releases saw more favourable press, with their live album Massive Noise Injection being particularly well received. They split up when their singer Blaze Bayley left to join Iron Maiden in 1994. Wolfsbane reformed in September 2007 to headline the Rock of Ages Festival in their hometown of Tamworth and followed this with a short tour in December of the same year, as special guests supporting The Wildhearts. More live dates followed in December 2010 as guests on The Quireboys' "A Little Bit of What You Fancy" 20th anniversary tour, and they also self-released a 'best of' compilation album. It is believed that the band are now working on new material with a view to recording their 5th studio album in the second half of 2010. The as yet untitled album is likely to surface in 2011, with a possible tour and festival appearances to support it. 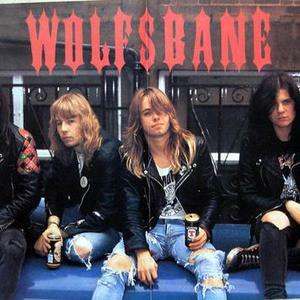 Further updates will be posted to the band's official website, www.wolfsbanehms.com.